Porsche has traditionally relied on trains for its logistics in Europe. From April 2019, the sports car manufacturer will also use rail transport for its transcontinental logistics. This change means that some vehicles will travel to customers in China via the New Silk Road, up to three weeks faster than previously. The Chinese market share for vehicle deliveries in 2018 was 31 percent making it the highest-volume individual market for Porsche. Currently, around 80,000 sports cars each year make their way by sea to Guangzhou, Shanghai or Tianjin, covering a distance of over 10,000 nautical miles, or around 18,500 kilometres. 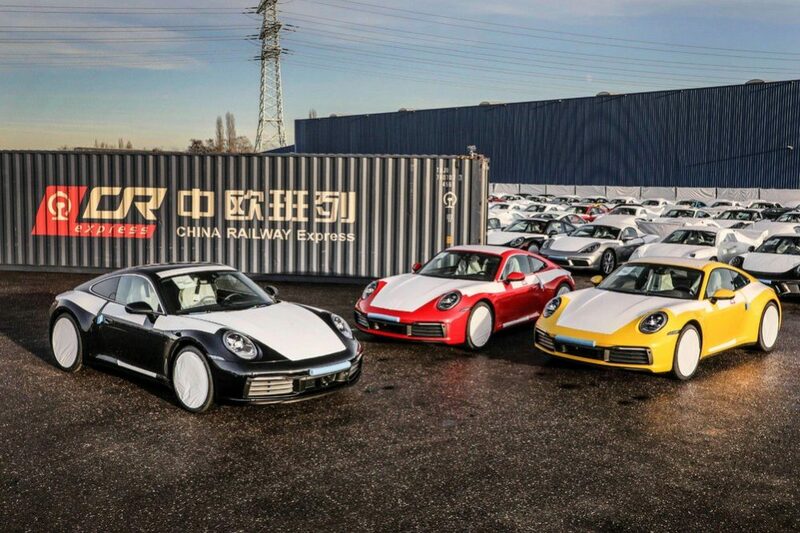 Sea transportation from the factory to the Porsche Centres in China takes a good 50 days. From now on, 11 percent of factory-new sports cars will be exported via the new rail link along the Silk Road to south-west China. The overland route from Europe to China is known as the Belt and Road Initiative (BRI). The distance by rail is around 11,000 kilometres. The route travels eastward from Germany through Poland, Belarus, Russia, and Kazakhstan, to the south-west Chinese metropolis of Chongqing. From there, the new vehicles will be delivered to regional dealers.